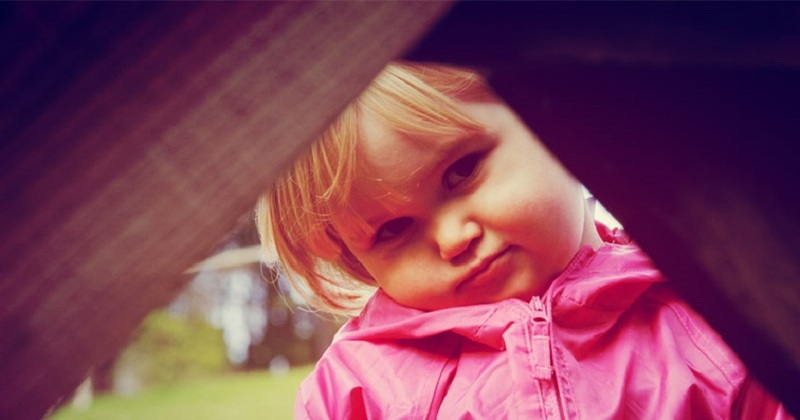 Our on-site children’s trails – the Gruffalo Trail, Wellie Hunt, and Hunt the Hidden Animals Trail – are always popular with our guests, but now we have something extra special – a bespoke Bosinver Adventure Trail! 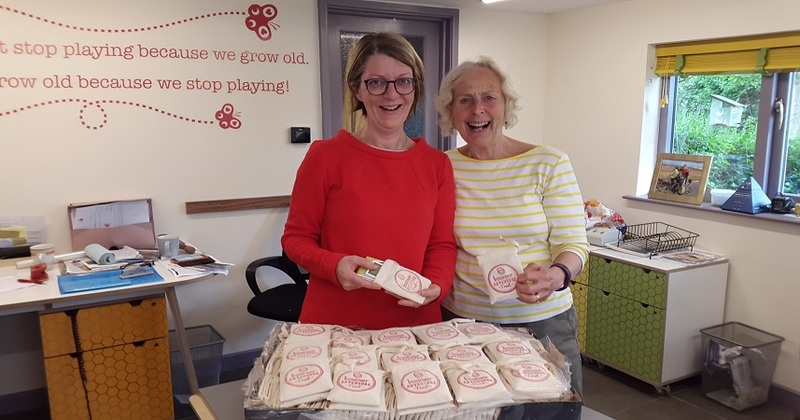 It’s been lovingly put together by Karen Narramore of Spotty Dog Trails with our very own Nanny Pat (plus a little help from the Bosinver team). 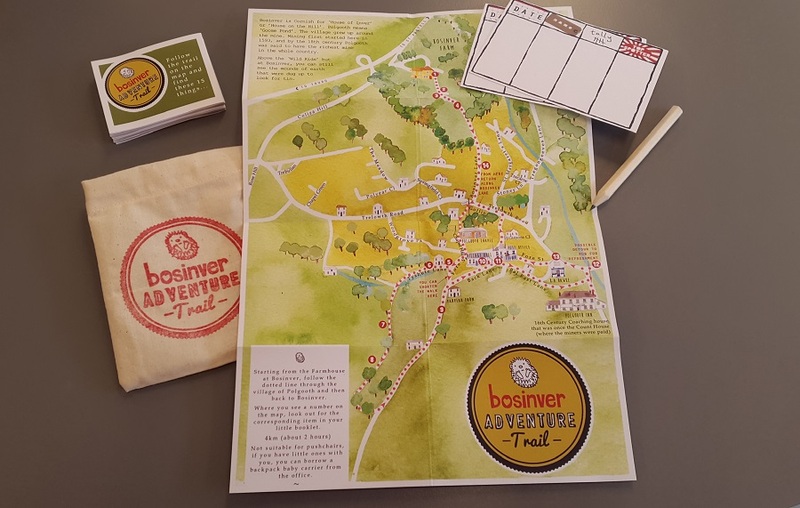 The Bosinver Adventure Trail is a fun activity the whole family can do together. It’s suitable for all ages, and will take approximately two hours to complete. You can pick up a hand-stamped trail pack from reception the next time you’re at Bosinver. All the proceeds from the trails will go to Children’s Hospice South West (suggested donation £2 per pack). Get ready to go clue spotting! If you enjoy the Bosinver Adventure Trail, why not try a Spotty Dog Trail? They’re highly recommended by Nanny Pat and her grandchildren, plus several of our guests. Read more about Nanny Pat’s ‘Spotty Dog days out’ on our blog. The idea behind Spotty Dog Trails is simple: good, old-fashioned family fun outdoors! From bug hunting to building a pebble cairn, there are great suggestions for things to try along the way. Each trail comes in a handy cotton bag, which you can also use for collecting treasures along the way. You’ll also find a map, scorecard and pencil so that you can keep track of who spots the most, and a wooden spotty dog badge to use as a prize for the Top Spotter! There are several trails to choose from. Some are based in Cornish towns, including Padstow, Penzance, St Ives and Falmouth. You can also go clue-spotting on the coast, or enjoy an adventure in the woods. Happy trails! Have you tried the Bosinver Adventure Trail or any of the Spotty Dog Trails yet? Leave a message below, post on our Facebook page or tweet @Bosinver – we’d love to hear your thoughts. If you would like to know more about booking a holiday here at Bosinver, please email reception@bosinver.co.uk or call 01726 72128.